Maximize your benefits and explore the risks. Join us Wednesday, Sept 21st. Join us at 7 pm for the official program and 1 CPE. 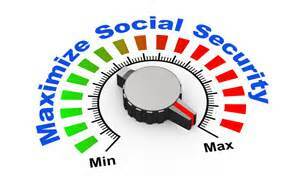 Our "official" program is presented by noted author Kathleen Sindell, Ph.D. focusing on “Social Security: Maximize Your Benefits” and explaining how the Bipartisan Budget Act changed the rules of Social Security. Discover seven strategies for successful navigation. Vision how today’s choices may affect your future. Let’s plan ahead! The session concludes with a question and answers period. 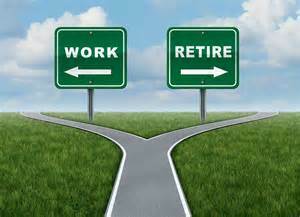 Please join us on Wednesday September 21 to explore social security and risk! Arrive for our 5 pm Table Topics Program for an additional 1 CPE. CFP Chair and Adjunct Full-Professor teaching the Wealth Building, Insurance, Investments, Retirement and Estate Planning, and Financial Plan Development Courses. Kathleen Sindell, Ph.D. is the author of numerous academic, popular, and professional finance articles, Web sites, blogs, proposals, and books, including the bestselling reference book, “Investing Online for Dummies, Eds. 1-5" (listed for two consecutive years on the Wall Street Journal's Bestselling Business Book List). Sindell is a University of Maryland, UMUC Program Course Chair II and Adjunct Full-Professor. Dr. Sindell has held FINRA Series 7, 63 and 65 licenses. Dr. Sindell is certified to teach Business and Industrial Management, Banking and Finance by the California Board of Governors, Certificate #19507 (Valid for life). Kathleen Sindell, Ph.D. is a FPA NCA Board Member and Pro Bono Co-Chair for over five years and Co-Chair of Metro Washington Financial Planning Day (2011, 2014, 2015 and 2016). She is on the Editorial Advisory Board for the Journal of Financial Planning (2015 and 2016). In April 2016 Dr. Sindell released her 13th finance/reference book titled, “Social Security: Maximize Your Benefits (2nd Edition)”. Kathleen Sindell presented her paper, “The Reality of Retirement Readiness” at the 2013 Academy of Behavioral Finance Conference, Chicago, IL.